After a long time, IPKO family came together like in the old days. 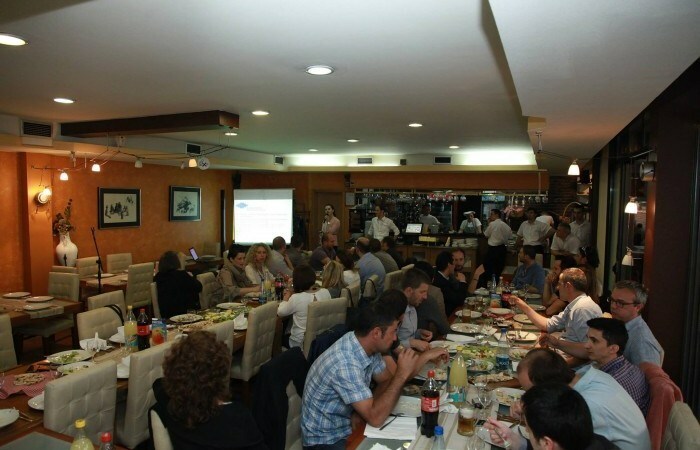 On June 4 th , 2014 IPKO Foundation organized a reunion dinner between IIMP students, IPKO Foundation Board Members and IPKO Foundation staff which took place in one of the restaurants in Prishtine. Altogether the event was attended by around 41 participants. The main idea for this reunion was to bring together all those who were part of the IPKO in its early days after ten years and share experiences of IPKO institution, discuss the achievements of IIMP students and IPKO Foundation and all in all rebuild connections between once great friends and collaborators. During the years 2001­2008 IPKO Institute was an education and training organization with the aim of building and transforming Kosovo through enhancement of education which was mainly focused on the Information Technology and Management classes. We were thrilled to realize that the majority of IPKO Institute students have succeeded in their lives either by founding their own companies or managing big ones that operate in Kosovo. All of them have had invaluable experiences in the fields they studied while in Institute. Now, ten years after IPKO Foundation has changed its function, but still aims to support leaders of the future. We hope that this reunion will serve to continue introducing to each other past and future youngsters that have the capacity to change our society for good. It is for certain that they can learn a lot from each other and can also be the support they need to move further. After this lovely evening, full of emotions and memories, we feel to have a big family which will support, with different means possible, the continuation of a mission for which they were the pioneers.